Reposted from the Verso Blog (February 6, 2018). The article below is an excerpt from the second issue of Chuǎng, “Red Dust,” scheduled to be released later in 2018. This is a slightly edited version of the introduction to the second part of our three-part economic history of China, the first of which explored the rise of the socialist developmental regime. Also included in the issue will be other original articles, interviews, translations, and intake pieces on China’s border territory and the greater region. Chuǎng is currently raising funds for the printing of our second issue, via Patreon. We can also accept one-off donations through PayPal. Alongside the second issue of all new material, we will reprint our first issue (now sold out) on higher-quality materials and at the originally intended (larger) size. (Our sincere thanks to those who helped us sell out of the first run within a couple months of printing, and our apologies for any strain on your eyes caused by the small print.) Anyone who subscribes via Patreon at the “sustainer” level of $5 or more per month will receive a free copy of both the new issue (plus all future issues and any other printed works we produce), as well as the reprint of Issue 1. These funds will also go toward paying for new translations and on-the-ground interviews. If we are able to maintain funding, we hope to release a number of smaller-run, long-form print translations available first to subscribers. 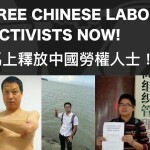 This is in addition to the material that we already post periodically via our blog, such as the recent translations of open letters by three of the eight young leftists charged with “conspiracy to disrupt social order” after the November 15th Reading Group Incident in Guangzhou, and, before that, our translations and commentary on the mass evictions in Beijing and the discourse of “low-end population” that arose in their wake. When the nomadic armies swept down from the north to conquer the splintering Western Jin dynasty, the upper classes fled across the Yellow River into the southern hinterland of their collapsing empire. In the South, they re-established the imperial court at Jiankang (within present-day Nanjing), decreeing the ascent of a new dynastic capital. But the new empire of the so-called Eastern Jin existed more in edict than reality. Power was extremely decentralized, defined by a constant tension between factions of the refugee northerners who had settled in different regions, each with its own largely autonomous military and economic base. These factions themselves were dependent on tenuous alliances with the culturally distinct southern gentry and various indigenous groups, all slowly wrought through intermarriage and military conquest. In the midst of such balkanization, the desire to regain the lost northern homeland only loosely unified a paranoid court, hardly able to muster the central power required to collect taxes, much less field a new army capable of fighting the militarized “barbarian” kingdoms that had arisen in the north. This short-lived dynasty was, in retrospect, merely one of the lower stages in the multi-century imperial decline following the collapse of the Han. But it was also in this context of imperial decline and decentralization that the “hermit” of the East Asian eremitic tradition took on its archetypal form. Though the cultural practice of reclusion has a long history stretching back well before the imperial era, it was under the Eastern Jin that empire and eremitism would become inseparably symbiotic. With little to do at the crippled court in Jiankang, most of the refugee elites retreated to their large estates in the humid southern forests. Attended by servants, slaves and concubines, they created relatively self-sufficient rural compounds, complete with trails and parkland cultivated for aesthetic effect. Freed from the drudgery of imperial administration, they spent their time gathering with friends on beautifully carved pavilions above their parks and plantations, feasting, drinking wine and writing poems on the beauty of a simple life in communion with nature. Poets like Xie Lingyun, the wealthy son of two prominent Eastern Jin families, were thus able to portray themselves as hermits in the style of the ancient sages, even as their (often willing) exile from court was spent within luxurious estates built on brutal hierarchies of bonded labor. The relationship between hermit and empire was never one of true opposition, then. Xie himself saw these estates as miniature empires unto themselves, modeled on the fallen Han dynasty. Meanwhile, almost all the major rural poets of the period were in reality constantly cycling between court life and rustic exile, with reclusion becoming an increasingly regular stage in imperial administration. By the time of true reunification under the Tang, eremitism had become a pervasive practice in which would-be officials competed against one another in their virtuous seclusion, hoping to secure a position at court. Famous poet-scholar-officials such as Li Bai crowded into hermitages in places like Zhongnan Mountain, frequently toured by imperial recruiters. The recentralization of political power thus saw a more rigorous fusion of the eremitic and the imperial, in which even hermits exiled from court were tasked with managing the smooth flow of tribute from the empire’s periphery. Throughout the process, however, literati still took on the outward attributes of their Eastern Jin predecessors, praising the religious solitude of rural life and condemning the capital and its courtly intrigue. Even though he served as a trusted aid to the Emperor during the Tang, Li Bai could imagine himself in a “world beyond the red dust of living,” a metaphor for both Buddhist religious detachment and rustic reclusion far from the bustle of urban streets. It’s not coincidental, then, that the forging of China via the socialist developmental regime played on similar contradictions. Simultaneously the beachhead in a global socialist revolution and an autarkic nation sealed off from the capitalist economy (and later even from trade with its old Soviet allies), socialist China’s seclusion was both contradictory and deceptive. As the developmental regime reached its later stages, language of “self-reliance” (自力更生) proliferated at every level. But alongside the drive for self-sufficiency, the ossification of production created numerous local pressures to break this autarky at both domestic and international scales. The economy had undergone a pervasive decentralization, with rural collectives and urban industrial enterprises transformed into their own eremitic cloisters—workers and peasants dependent on local production units for food, housing and basic consumer goods, rather than on direct provision by the central government or indirect provision through a national market. But in the same period black markets had begun to proliferate, much-needed producer goods were increasingly unavailable or obsolescent, and the Sino-Soviet split had ensured that almost the entirety of China’s border had become a potential war front. These later, hermit-like decades of the socialist era were therefore also the gestation period for China’s unprecedented opening to global trade. The Reform Era is often portrayed as an unprecedented shift led by a nearly rogue party faction, ending in a “Chinese Miracle” that would see the nation catapulted to the forefront of global production. But the reality is that China’s rapid subsumption into the material community of capital was prefigured by the structural conditions pervading and encircling the hermit nation, its autarkic developmental drive ultimately only as distant from the drives of global capital as the autarkic hermit estates of the medieval literati were from the courtly intrigue of their own capitals. 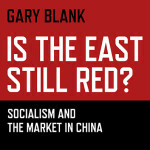 Whereas “Sorghum & Steel,” the first part of our economic history, explored the internal character of the developmental regime and the forging of China as a nation, this second part focuses on the global conditions that would ultimately drag the hermit socialism of the developmental regime out into the red dust of global capitalist production. Our basic thesis is that, as with the hermits of the Eastern Jin, reclusion and imperial expansion are not necessarily opposed terms. The rise of the reform faction within the Chinese Communist Party (CCP) appears sudden or unexpected only for those who take the hermit’s own poetry at face value, forgetting that the recluse is merely a stage in the life of the imperial administrator. In our second issue, forthcoming in 2018, we will now turn to the story of China not just as a newly forged nation, but as one of many territories within a globe-strangling network of labor pools and supply chains. Our focus therefore shifts from the largely domestic topics covered in “Sorghum & Steel” to a simultaneously domestic and international perspective necessary to understand the parallel structures that composed China’s gradual reforms. We will explore both the endogenous and exogenous pressures to open the economy that existed in the later stages of the socialist era as well as the uneven and incomplete character of the capitalist transition once it was underway. This story, while muddied by the evangelical liberalism of the later 20th century, is by no means as obscured and distorted as that of the developmental regime that preceded it. Much of the history of the reform era is already well documented in the mainstream academic literature. This installment will therefore focus on summarizing existing research and placing it within an adequate Marxist framework, emphasizing throughout the aspects of this history that are most useful to understanding capitalism as it exists in the world today. The key topics will be covered in a sequential fashion, loosely organized into three thematic sections that cover the major periods of capitalist transition. But the overarching theme here is the idea of convergent crises. We aim to tell the story of the numerous historical contingencies that undergirded the so-called “Chinese Miracle,” which was neither miraculous nor entirely Chinese. This entails an understanding of the “miracle” as, in fact, a mundane emergent response to dual crises occurring on two scales—one within the Chinese developmental regime, and the other within the global capitalist economy. The endogenous crisis of the developmental regime reached its peak in the 1970s. This was largely conditioned by the domestic limits to the developmental project already explored in “Sorghum & Steel,” but was amplified by growing geopolitical exclusion and the looming possibility of war with the USSR. Over the same time period, global capitalist production was confronting its first major worldwide slowdown since the Great Depression. By the late 1970s, all attempts to manage the budding crisis via standard postwar stimulus measures had failed. As growth stalled, unemployment crept upward and inflation skyrocketed, the various structural reforms that would soon be undertaken in an attempt to restore profitability (later classed together as “neoliberalism”) were looming on the horizon. But there was also awareness that these reforms, if applied only to the core capitalist territories, would suppress wages, eviscerate the social safety net, create dangerous amounts of debt and thereby stoke widespread unrest. The social movements and insurrections of the late 1960s had already hinted at the possibility of such destabilization—and in the context of the Cold War, destabilization carried the risk of igniting an unimaginably devastating global military conflict. For capitalist accumulation to continue in its drive for compounding growth, the economy would have to leap to an entirely new scale, subsuming undeveloped territories and constructing new industrial complexes adequate to the ever-intensifying volume and velocity of production. It was hoped that this process would both succeed in reviving profitability (even if only temporarily) and help to temper unrest in the capitalist nations by matching declining social services and stagnating wages with a cheapening of consumer goods and an expansion of credit. This process had already centered itself in East Asia, anchored to postwar Japan’s US-facilitated ascent. As the crisis grew, capital began to tilt more and more toward the Pacific Rim. Cold War geopolitics combined with the new economic gravity of Japan to facilitate the rise of the East Asian Tigers, each driven by a unique combination of anticommunist dictatorship (or colonial apparatus, as in Hong Kong) and a flood of investment from the US and Japan. This is the juncture at which China’s domestic crisis converges with the Long Crisis of global capitalism. In the terms of mainstream economics, China’s large, cheap labor force offered an essential “comparative advantage” in key stages of the light industrial production process. But this mainstream account only captures part of the overall dynamic. The opening of China was the beginning of a wide-ranging process of subsumption into the material community of capital, driven by the increasing need to export first goods and, later, capital, from developed economies suffering overproduction. Following the early expansions of capitalist production elsewhere in East Asia, China was able to offer large territories for investment and a literate, cheap labor force unprecedented in its size, health and basic education. The labor supply added to the global capitalist system by this process was roughly equal in size to that of all the world’s industrial nations combined. Moreover, this workforce had been produced by the socialist developmental regime, so its initial costs were external to capitalist production. Moreover, the costs of its reproduction were easily externalized to internal peripheries still dominated by subsistence production—at least for the first couple generations. The sheer mass of the Chinese population thus revived the old hope of the West, dating back at least to the Ming dynasty, of a seemingly limitless market capable of both driving capitalist production and sopping up its ever-growing excess. In an attempt to cleave down to the heart of such dynamics, there is always a risk of attributing more agency to presidents, chairmen and assorted billionaires than is deserved. The reality is that decisions made at the helms of states or corporations are always decisions made in response to material limits confronted by complex political and economic systems. The ruling class is a designator for a non-homogenous array of individuals who hold decision-making positions within these citadels of political-economic power, for whom the continuation of the status quo is of the utmost priority. But these individuals sit in highly structured positions, beholden to the built-in demands of shareholders (for higher profit) and political constituencies (for minimal levels stability and prosperity, not so much the requirement that things get better but simply that they don’t get too bad too fast). There is thus no real malicious intent behind such decisions, nor is there the ability for such holders of power to truly transform or break free from the system itself. They are chained to it just as we all are, though they find themselves chained to its top. The entire process is, therefore, one of contingent adaptations, rather than ruling class conspiracy. Its product is not that of a hidden, scheming council of elites, but simply the result of the continual experimentation through which different factions of the ruling class attempted to resolve the budding crisis and failed, their efforts then replaced by new, untested possibilities put forward by new leaders generating new outcomes that had to be dealt with in turn. The process is one of continual transformation in response to the local manifestations of the global decline in profitability. “Neoliberalism” is therefore not a fully conscious, casually malicious political program, as some authors would have it, but simply a term attributed to a loose consensus that formed around numerous local solutions to the crisis that seemed to overcome short-term limits at the time. The prominence of an increasingly militarized state in this period is itself a symptom of the fundamental incoherence of this consensus, since the management of the ever-building, ever-deferred yet ever-present crisis grows more and more monumental. We have today finally reached the point at which this consensus is collapsing in the face of declining global trade and rising tides of populist nationalism, even while the massive military apparatus that accreted atop global supply chains remains, driven by its own inertia. But the development of this now-collapsing consensus remains the historical backdrop to the subsumption of China within global circuits of accumulation. In the period we explore in this second part of our economic history, geopolitics played a key role in the joining of the mutual crises. This was, in fact, one of the few moments in Chinese history when the decisions of individual political leaders (albeit responding to local demands) truly reoriented the course of future decades. And if there was a single moment at which this convergence of crises became a concrete possibility, it was probably the 1969 Zhenbao Island Incident. As the peak of a wide-ranging Sino-Soviet border conflict that saw twenty-five divisions of the Soviet Army (including some two hundred thousand soldiers) deployed to the Chinese border, the events on Zhenbao Island brought China and the USSR to the brink of all-out nuclear war. Though war was averted, this was the point at which Sino-Soviet ties were definitively severed, concluding a half-century of precarious diplomacy between the two largest members of the socialist bloc. In the context of the Cold War, this incident also signaled China’s earliest overtures toward opening ties with the United States. 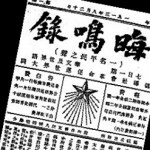 Contrary to those who mark the beginning of the Reform Era in 1976, with the death of Mao Zedong, or 1978, with the ascent of Deng Xiaoping, we therefore argue that the period of capitalist transition actually begins in 1969, at the end of the “short” Cultural Revolution, when the Zhenbao Island Incident results in an irrevocable severing of relations with the USSR (the final stage in a long process of diplomatic breakdown) and initiates informal contact with the United States, to be followed by formal contact in 1971. Though ultimately completed under the leadership of Deng and initially spearheaded by Zhou Enlai, the essential geopolitical moves in this period had a broad enough base among top party leadership to move forward, all with the approval of Mao. Initially part of a larger political strategy aimed at acquiring advanced capital goods in order to reverse the economic stagnation of the developmental regime—a minimal “opening” in the name of preserving the status quo—these partial measures took on a life of their own, creating supply dependencies (primarily in agricultural capital goods) that encouraged further liberalization. Though this political strategy would soon evolve into full-scale market reform, it was therefore rooted in socialist era attempts to overcome the limits of the developmental regime. As the region warped under the eastward tilt of capital, China began to orient itself toward the coast. Though its market reforms came in short (2-4 year) cycles of experimentation and retrenchment, it is also possible to roughly divide the period into three decade-long stages. These were by no means part of any intentional, long-term strategy. But each stage, once completed, put into place new structural features that made future reforms more probable. The first stage, from 1969 to 1978, was defined by politics. Domestically, it was a period of increasing ossification. After the crushing of the “short” Cultural Revolution in 1969, production, distribution and society were increasingly managed directly by the state via the military. The number of cadre skyrocketed in these years and the economy took on a directly military character, defined by the “Third Front” strategy, which sought to relocate industry to China’s more secure mountainous interior. This decade would see the last “big push” industrial strategies of the socialist developmental regime. At the same time, it would also see the first attempts to import full plant and equipment from capitalist countries for use in China’s coastal cities, a process only made possible by the larger geopolitical shifts mentioned above. With one foot still well within the developmental regime, this stage was marked by strategic political opening and extremely minimal economic reform. Aside from a few key imports, interaction with the global capitalist economy was essentially non-existent. The second stage was defined by reform of the domestic economy. This period can be dated roughly from Deng Xiaoping’s ascension in 1978 to the Tiananmen crackdown in 1989. Domestic reforms were defined by the implementation of the household responsibility system in agriculture, the restoration of rural markets and the rise of Township-and-Village Enterprises (TVEs) as the fastest-growing sector of industry. Domestic growth still far exceeded interaction with international markets, however. China retained multiple layers of insulation from the global market, limiting the most direct contact to a handful of Special Economic Zones (SEZs), the most important of which was Shenzhen, since it acted as the interface between the mainland and Hong Kong. Throughout this period, China had no domestic stock exchange, ownership of domestic firms was often unclear, and foreign ownership was limited to the SEZs—and even there it was often restricted. Hong Kong was the dominant source of direct investment throughout this period, accounting for more than half of all FDI into mainland China in every year but one between 1979 and 1991, followed at a distant second by Japan. Aside from direct investment, a portion of Hong Kong’s share was, however, also indirect investment from Taiwan and the overseas Chinese population, routed through Hong Kong’s financial system to avoid political restrictions. The second stage of the reform process, then, was driven not only by Asian capital, but specifically by capital drawn from the broader Sinosphere, often coordinated by family networks that stretched beyond the border. These were thus the years in which the top of the capitalist class hierarchy took shape in China, as these capital networks began to fuse with the bureaucratic class that had helmed the developmental regime. The third stage of reform dates from around 1990 through the early 2000s. This period was defined by its international character, and can be understood as the decade within which the capitalist transition was completed, in terms of both market integration and class formation, despite a shrinking remainder of rural subsistence production. The crushing of the 1989 Tiananmen protests was followed by the selective re-incorporation of rebellious students into the party and the ruling class that it now oversaw. It was in this decade that the ruling class of the socialist developmental regime began to act as the major body of a decisively capitalist class pursuing interests in accord with the primary directive of capital: compounding accumulation. This is despite (and in fact aided by) the direct fusion of this ruling class with the state. This period also saw the full integration of Chinese production into global capitalism. The ‘90s opened with a burst of investment in the years following the repression of the Tiananmen unrest, driven by Japan, Taiwan and South Korea, alongside the continuing importance of Hong Kong. Stock exchanges were formally founded in Shenzhen and Shanghai in 1990. Though direct investment by Europe and the US remained a minority share, the products made by Chinese firms became increasingly export-oriented, and these exports’ final destinations were now often in the West. Many of the coastal TVEs were retooled to serve these new supply chains, driving a massive wave of suburban and exurban industrialization that resulted in the sprawling Chinese megacity. This period—and the reform era more generally—was capped by the gutting of the old socialist industrial belt in the Northeast via factory closures and mass layoffs. With the reform of agriculture in the previous decade followed by the smashing of the “iron rice bowl” beginning in 1997, the privileged position of the grain-consuming class of urban industrial workers was eliminated and the class structure of the socialist developmental regime was decisively shattered. Meanwhile, many of the TVEs that had arisen in many poorer rural areas in the 1980s also went bankrupt, were privatized or were simply shut down by the state as part of the broader wave of factory closures. The TVEs thereby acted as a key transitional phase in the reform of industry, with their privatization stimulating the growth of the market economy in certain areas and their closure in others producing an even larger pool of surplus rural labor, from which the coastal manufacturing hubs would draw. The gutting of the rust belt was accompanied by a massive restructuring of state-owned industries, defined by the consolidation of enterprises and planning bureaus into several large “conglomerates” (jituan), designed in part by Western financial interests and capitalized by IPOs offered on global exchanges. These remaining “state-owned” enterprises, alongside their smaller counterparts, would thereby increasingly operate according to capitalist imperatives, and the Chinese workforce would be defined by the combination of a new migrant proletariat staffing the privately owned industries of the Sunbelt and a newly proletarianized workforce employed by these internationally financed conglomerates, directly overseen by the bureaucrat-bourgeoisie within the party. We can loosely mark the end of this final stage of reform in 2001, which saw China’s accession to the WTO, just as manufacturing employment reached its all-time trough (at 11% of the labor force) due to industrial restructuring, after which a new wave of export-oriented growth in the Sunbelt would drive it back up on a new, fully capitalist foundation. Today, the era of the eremitic socialist nation has long been over. All the hermits have returned to the red dust of the city, their communitarian utopias pieced apart and fed into the material community of capital. But this also means that the present composition of the global capitalist economy has been fundamentally shaped by its absorption of the socialist developmental regime. In order to understand the immediate future of capitalist production, then, it is essential to understand this process of transition. Of particular importance here are the elements of the socialist era that were subsequently exapted by the capitalist economy. The notion of “exaptation,” drawn from evolutionary biology, refers to the process whereby functions within a species originally adapted for one purpose (feathers used in heat regulation) are subsequently co-opted for qualitatively different functions later in the evolutionary lineage (feathers used in flight). Similarly, many features of the socialist developmental regime would ultimately be co-opted to serve integral functions within the capitalist economy. The success of these exapted features helps to explain the remarkable growth rates of the Chinese transition period while also offering a hint at how capitalist production itself is evolving in response to continuing crisis. In describing domestic crises and the reforms that followed, we therefore place these processes of exaptation at the center of our narrative. 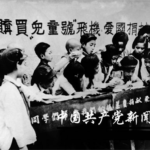 The exapted features that would become most important to Chinese capitalism were largely associated with the way in which the class structure of the socialist era was recomposed into a capitalist class system. At the bottom, this entailed the co-optation of the hukou (household registration) system in order to create a proletarian population of rural migrant laborers to staff the booming industries of the coastal sunbelt. 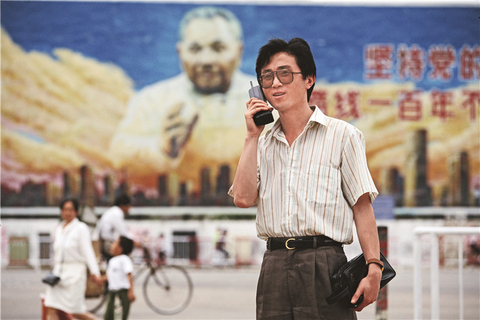 At the top, it entailed the co-optation of the socialist-era party system, a process marked by the fusion of political and technical elites into a single ruling class closely alloyed with the CCP and completed with the influx of entrepreneurs into the party beginning in the 1990s. Alongside these changes, another key exaptation was taking place within the industrial system. As state-owned enterprises (SOEs) were restructured, firms in “key industries” such as steel, mining and energy production were never fully privatized. Instead, socialist-era state ownership was exapted and the new conglomerates in these sectors were retooled and recapitalized to be internationally competitive while also retaining their ultimate political allegiance to the party, now a managerial body for a capitalist ruling class. Though the socialist-era urban working class was gradually eliminated and many smaller or unproductive firms were simply closed, Chinese SOEs would ultimately play an essential role in the later period of transition. Today, these firms are integral to the international expansion of the Chinese economy. At the same time, they are sites at which many crises are concentrated, as growing debt, overproduction and ecological collapse are externalized from the private economy and concentrated into sectors that can be more directly managed by the state. The story we will tell in our second issue, then, is one in which many features of China’s rural hermit socialism would ultimately become fundamental components of its cosmopolitan capitalism. The description of the socialist era that we developed in Sorghum & Steel is insufficient when it stands alone, simply because the period in question was not insulated from history. Not only did the hermit return from the forest, but, in retrospect, it becomes apparent that the recluse was never as isolated from the polity as it seems at first glance. Within the material community of capital, there can be no true hermit kingdom. All is encircled by capitalist accumulation—the red dust of living death—and all who attempt to flee from it are returned to it, in the end. Future communist prospects, then, will find no hope in reclusion. The only emancipatory politics is one that grows within and against the red dust of the material community of capital. In this second part of our economic history, we therefore continue to seek a better understanding of that community as it is presently composed, in the hope that such knowledge might ultimately prove useful to its destruction. 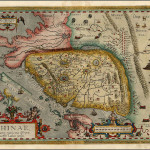 For more on this period, see: Mark E. Lewis, China Between Empires: The Northern and Southern Dynasties. Belknap Press, 2011. See: Aat Vervoorn, Men of the Cliffs and Caves: The Development of the Chinese Eremitic Tradition to the End of the Han Dynasty, Hong Kong, The Chinese University Press, 1990. See Xie Lingyun’s Fu on Returning to the Mountains. See especially ibid, Sections 3 and 4. This is more or less the latent assumption of most progressives today, and forms the cornerstone of many academic accounts of the period. For the most commonly cited, see: David Harvey, A Brief History of Neoliberalism, New York: Verso, 2005. See: Lin, George C.S., Red Capitalism in South China: Growth and Development of the Pearl River Delta, UBC Press, 1997. Though still large in the early 2000s, this remainder was, by around 2008, either directly incorporated into or fundamentally re-shaped by the market. The wave of rural relocation (undertaken in the language of “rural poverty elimination”) currently being undertaken by Xi Jinping’s regime is cleaning up the last dregs of these small spheres of local subsistence by relocating entire villages into new government-constructed housing, where subsistence production can be replaced by both market access and dependence on the state. The Shenzhen Exchange had been founded informally in 1987, but was not formally recognized until 1990. The term was coined by the paleontologists Stephen Jay Gould and Elisabeth Virba to replace the overly-teleological language of “pre-adaptation.” It subsequently became an important element of Gould’s broader theory of an evolutionary process marked by “punctuated equilibrium,” laid out in his Structure of Evolutionary Theory.